Golden, with a hint of sweetness and pineapple. 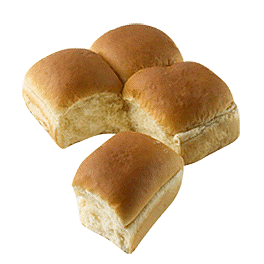 This 1.25 ounce roll makes a wonderful dinner roll. 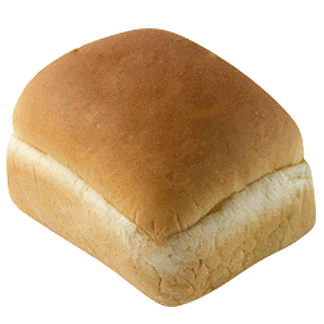 Fully baked, you can either heat or serve at room temperature. ENRICHED FLOUR [UNBLEACHED WHEAT FLOUR, MALTED BARLEY FLOUR, REDUCED IRON, THIAMINE MONINITRATE (VITAMIN B1), RIBOFLAVIN (VITAMIN B2), NIACIN (VITAMIN B3), FOLIC ACID], YEAST, SUGAR, WATER, WHEAT GLUTEN, OIL BLEND (SOYBEAN, PALM, AND CANOLA), WHEAT PROTEIN ISOLATE, SALT, SODIUM STEAROYL LACTYLATE, DATEM, CALCIUM PROPIONATE (A PRESERVATIVE), YELLOW CORN FLOUR, SPICE OILS (TURMERIC AND ANNATTO), DEXTROSE, NATURAL FLAVOR, CALCIUM SULFATE, MONO AND DIGLYCERIDES, CITRIC ACID, LACTIC ACID, ASCORBIC ACID, VITAMIN A PALMITATE AND BETA CAROTENE (FOR COLOR), MODIFIED CORN STARCH, SODIUM ALGINATE, POLYSORBATE 60.